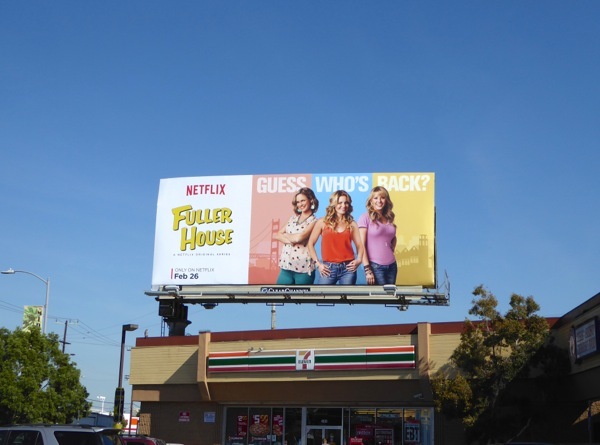 Jeff Franklin's U.S. sitcom Full House ran for eight seasons and almost 200 episodes from 1987 to 1995, and now twenty years later the series has received a spin-off sequel in the form of Fuller House on Netflix. 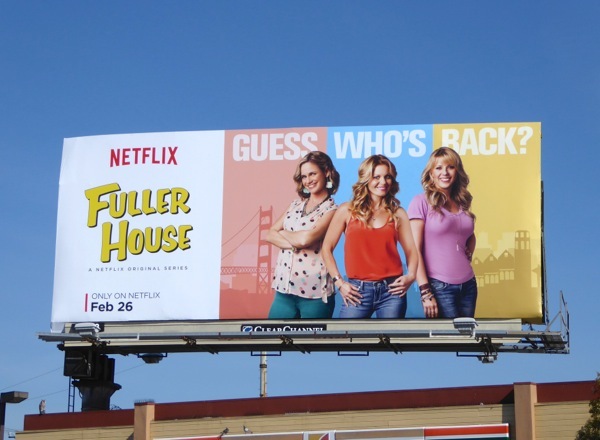 In the new show, Candice Cameron Bure returns as 'D.J. 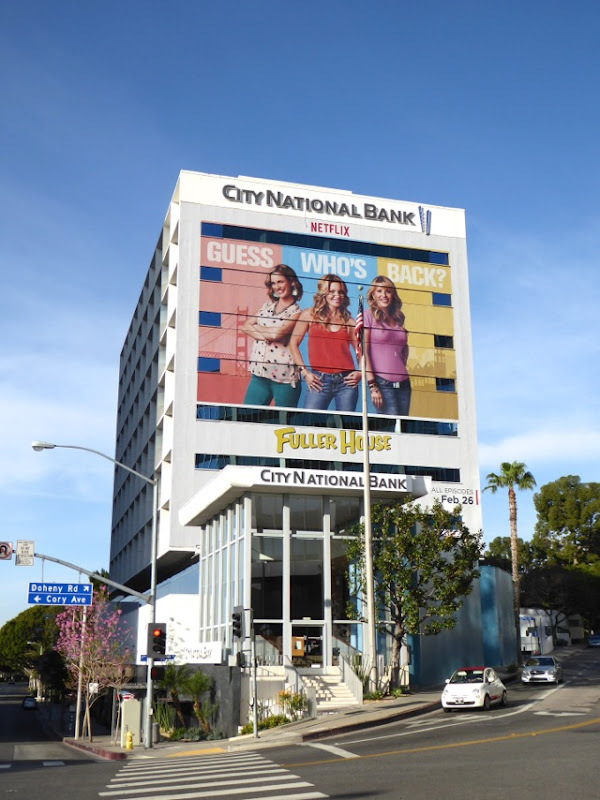 Fuller', a veterinarian and mother of three boys, whose younger sister 'Stephanie' (Jodie Sweetin) a music DJ and her best friend 'Kimmy Gibbler' (Andrea Barber) and her teenage daughter move in to help the recently widowed D.J. 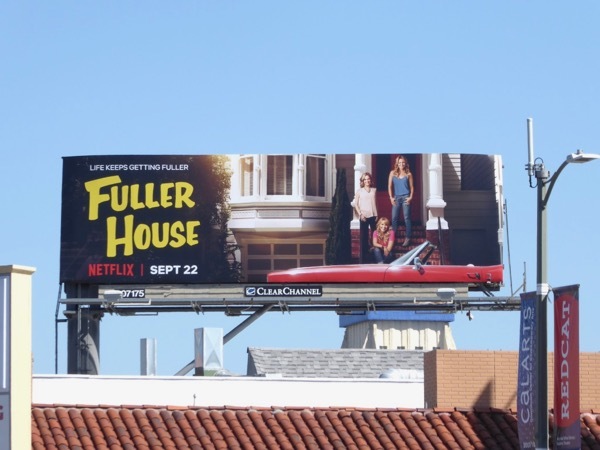 raise her sons after the death of her firefighter husband, making for a much 'Fuller House'. 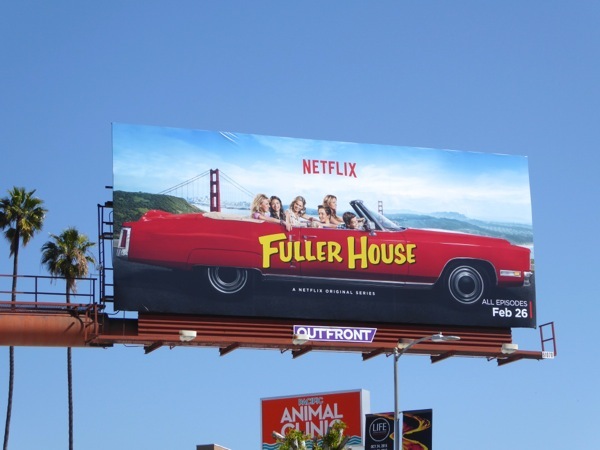 Like the original, this new generation sitcom is set in San Francisco and also features other original cast members in recurring roles and special appearances, like John Stamos, Bob Saget, Dave Coulier, Lori Loughlin (but not the Olsen Twins so far). 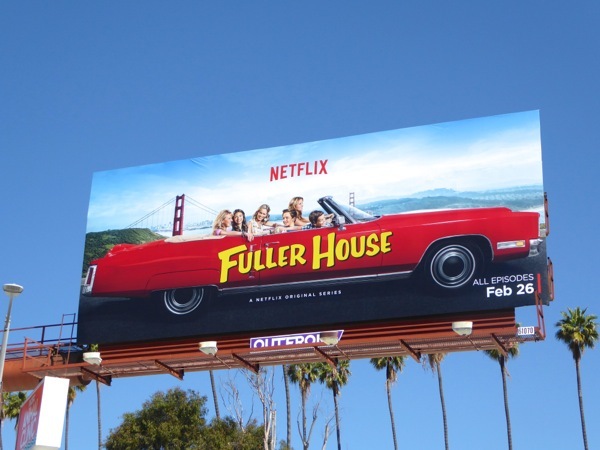 Even though it has a built-in fan base and the nostalgia factor going for it, Fuller House has received mixed reviews, but someone must be watching as the show has already been renewed by Netflix for a second season beyond this first thirteen episodes. 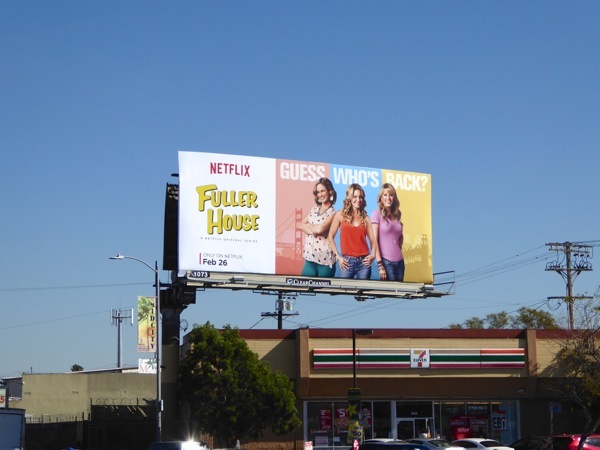 The 'Guess who's back?' 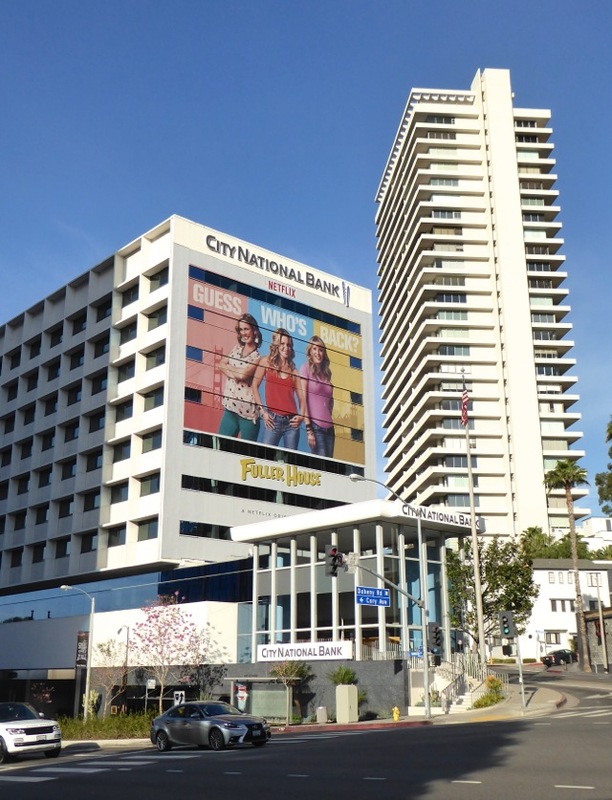 ad creative was first glimpsed along Highland Avenue in Hollywood on February 15, then spotted later along La Brea Avenue at Pico Boulevard on February 24, with the giant-sized version snapped at the start of West Hollywood's Sunset Strip on February 26, 2016. 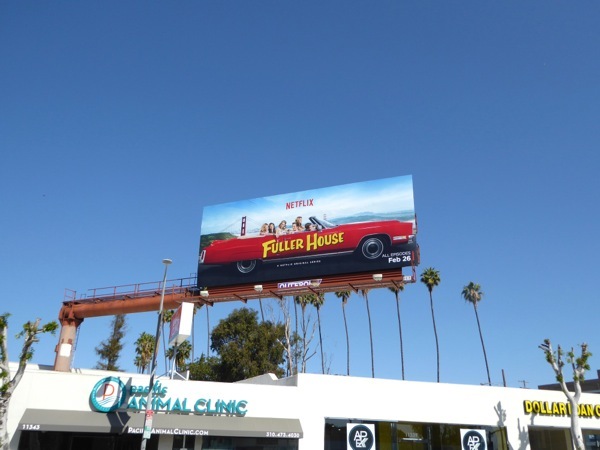 Meanwhile the 'convertible car' billboard with San Francisco's Golden Gate Bridge in the background was photographed above Santa Monica Boulevard in West L.A. on March 12, 2016. 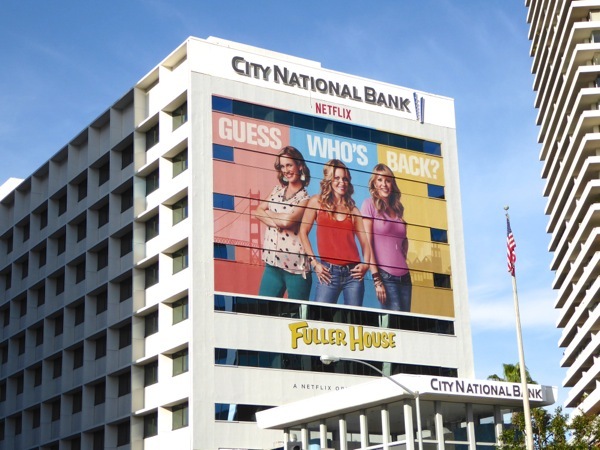 With shows like 24 and The X-Files being revived in recent years, plus other shows like Gilmore girls, Twin Peaks, Prison Break and Star Trek getting small screen continuations, reboots or revivals, you have to wonder what golden oldie will be next to be dusted down and brought out of the televisual vaults. 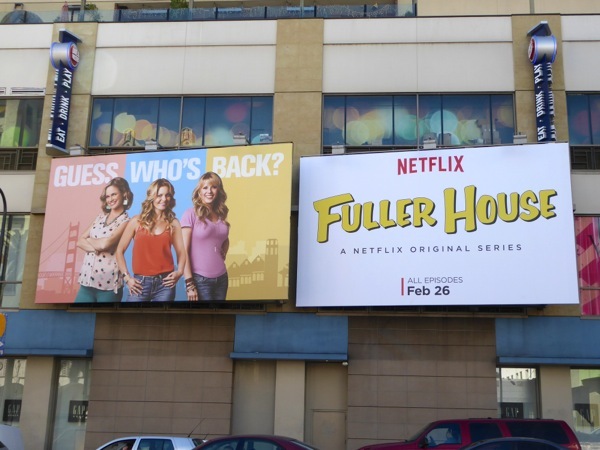 They may all be back, but let's see how long they can all last. 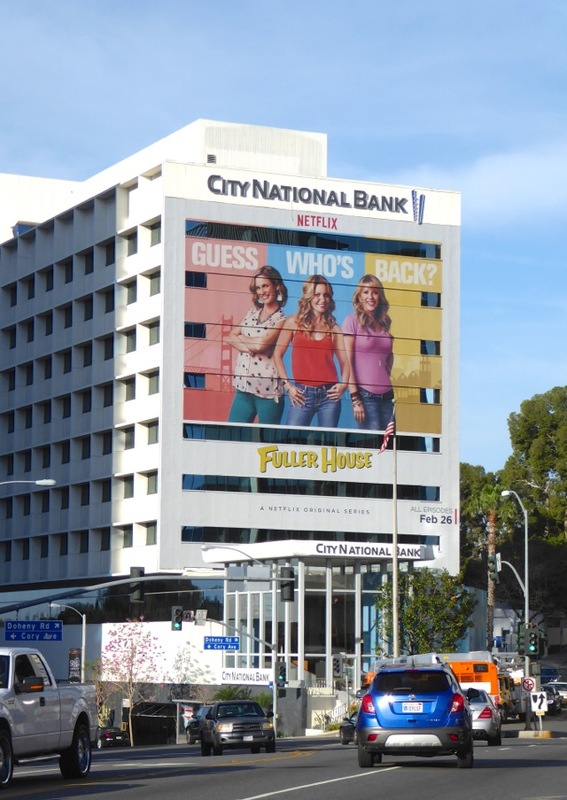 UPDATED: Here's also the third season promo billboard for Fuller House snapped above La Brea Avenue on September 24, 2017. 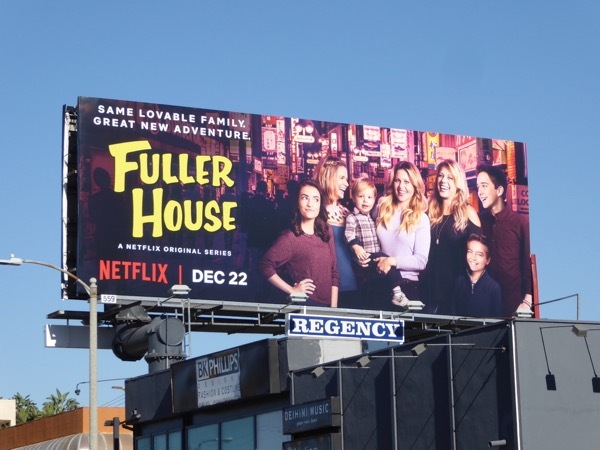 UPDATED: And here's the billboard for the second part of Fuller House's third season, spotted along Robertson Boulevard on December 21, 2017.